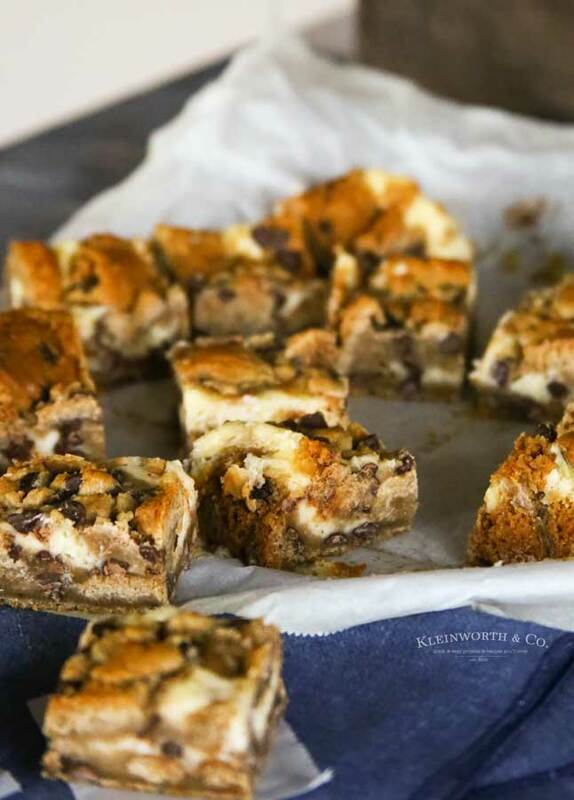 Chocolate Chip Cookie Cheesecake Bars are made with just 4 ingredients and are ready in less than 1 hour. 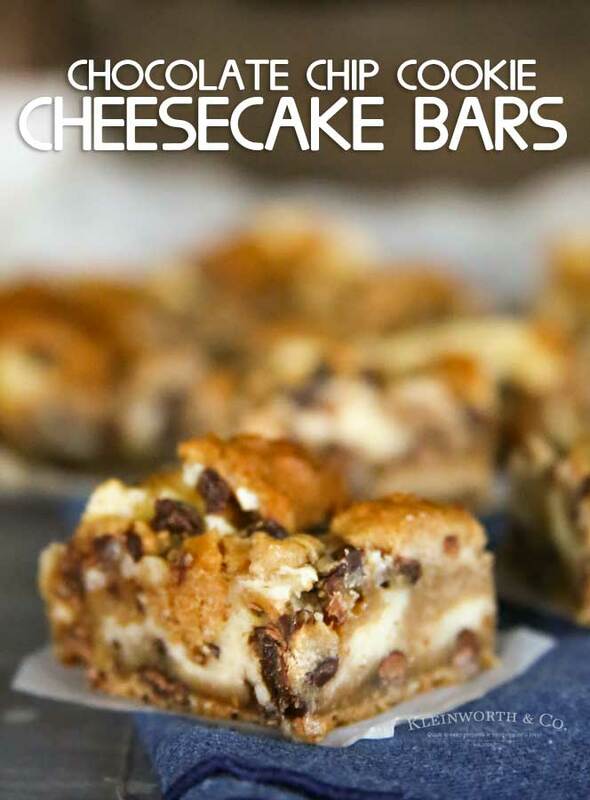 The perfect pairing of cheesecake and cookies! Do you love chocolate chip cookies? How about cheesecake? How about putting those two together for one super awesome treat? 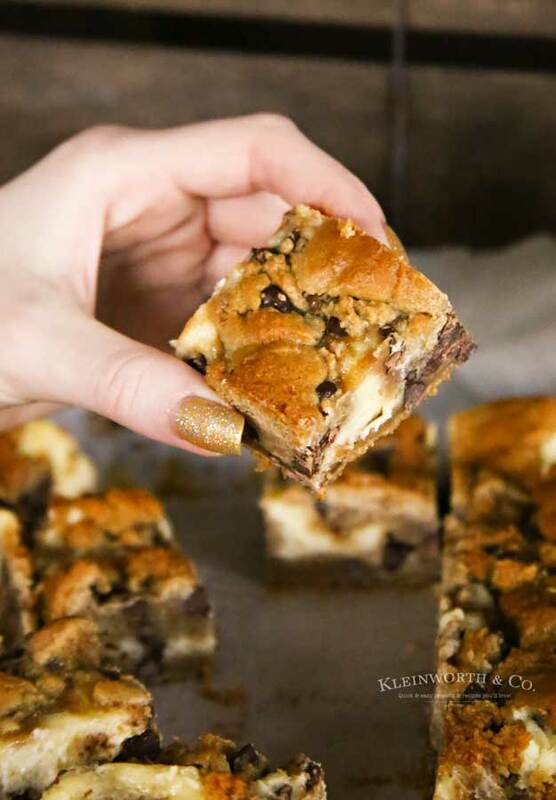 Check out these Chocolate Chip Cookie Cheesecake Bars. Now as if that wasn’t good enough. What if I told you that this recipe takes only 4 ingredients? Are you sold now? I KNOW! Too easy, right? My family flips for these little gems every time. 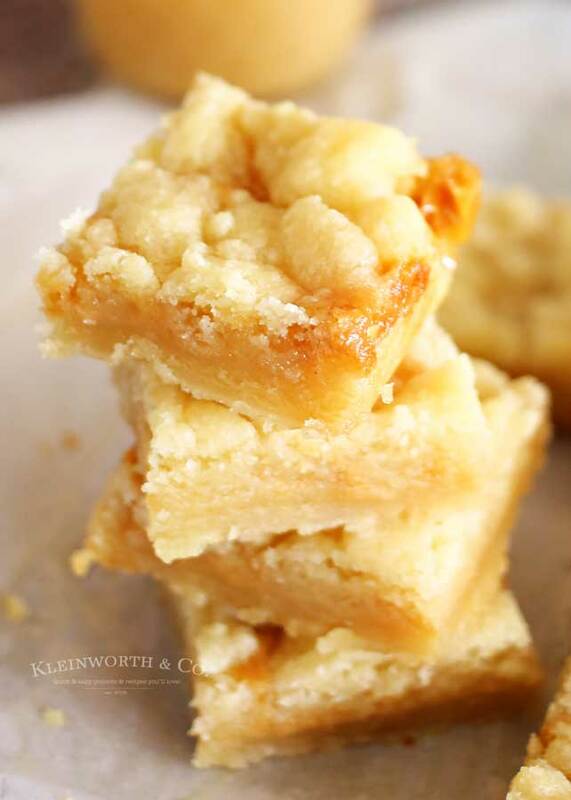 They are also the recipe I make sure to bring to every single potluck, and they are always gone FIRST. 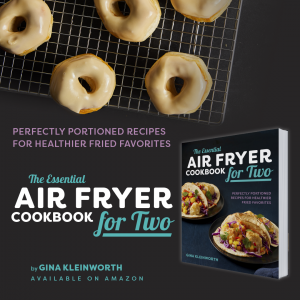 I always have tons of people asking me for the recipe and so after so many years, I’m finally getting around to putting it here on Kleinworth & Co. to make it easier. It also helps for all of you who I have never met in person and therefore I have never baked for you before. But if we had met, you can be assured, you would have had these at some point. They are a winner. 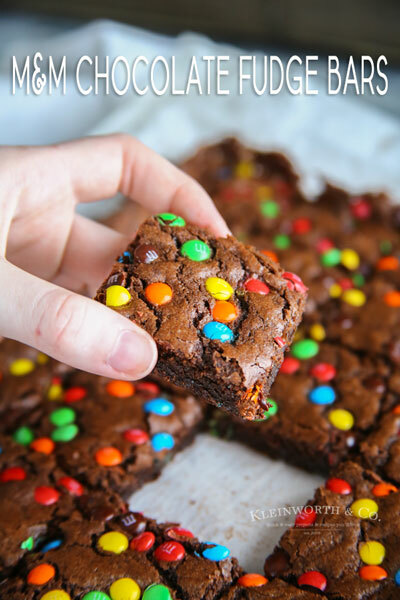 Can these be made with homemade cookie dough? Yes, they absolutely can. If you have a favorite chocolate chip cookie dough recipe, or you have the ingredients to make the recipe on the back of the chocolate chip bag, then by all means, make the dough from scratch. Just use 2 cups of the dough – not the whole batch that you will have from that homemade recipe. This recipe is literally the only reason I buy the pre-made cookie dough tubes. But it sure cuts down on time and dishes to do it this way. 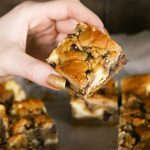 What baking pan do you use for this recipe? I like to use this dish (slightly larger at 9.5″) for these bars. But you can use one like this 8″ pan too. 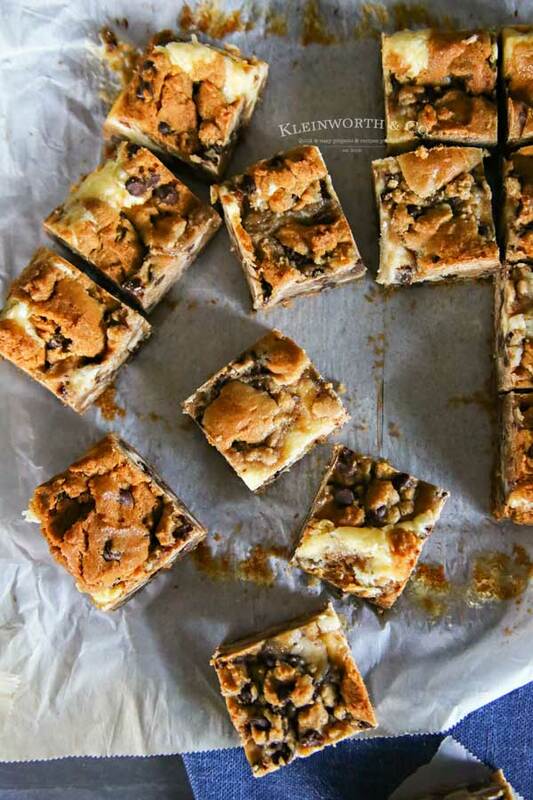 HOW DO YOU MAKE Chocolate Chip Cookie Cheesecake Bars? Line an 8″ or 9″ baking dish with parchment and set aside. Divide the cookie dough in half. Press one half of the dough into an even layer in the bottom of the prepared dish. Using a mixer bowl, combine cream cheese, sugar and egg together. Beat well until the mixture is smooth. Spread over your bottom layer of cookie dough in the dish. Crumble the remaining cookie dough over the top of the cheesecake layer. Do not attempt to smooth out. 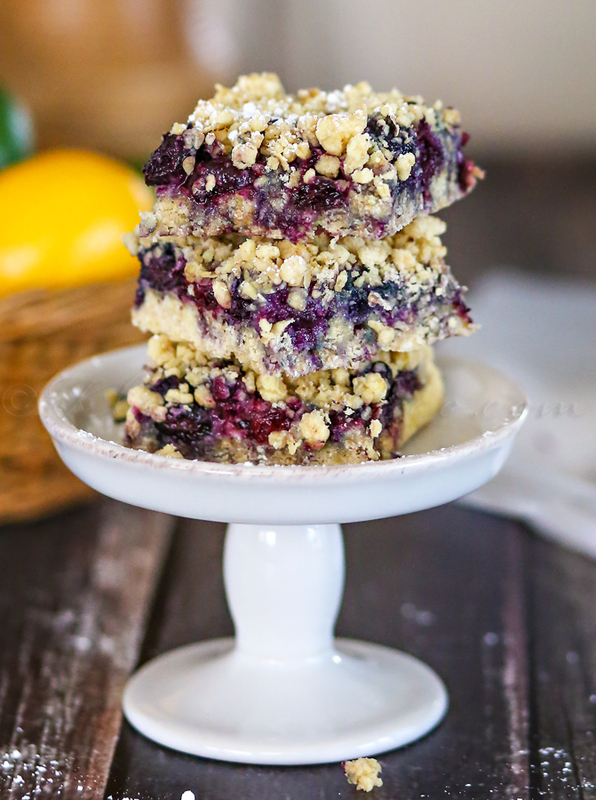 Leave it in crumbles. Bake 35-40 minutes or until a toothpick test in the center is clean. Cool to room temperature on a wire rack before transferring to the refrigerator to cool completely before cutting. Let sit out 15 minutes at room temperature before cutting. These really are absolutely INCREDIBLE!